Transport of Chauffeur Privé in Paris assures you of the assumption of your travels in the capital all the year without interruption. Discover the price of your transport online with our simulator available just below, your private chauffeur rate in Paris is displayed in a few clicks. Simulating and booking your trip with our private chauffeur service in Paris is totally free. Private driver Paris is a service available for all types of private transfers to the Paris airports , train stations SNCF, the Metros and to your business or home . Do you need transportation for an event? Your private chauffeur in Paris will take you to weddings , seminars or receptions . Chauffeur Privé Paris also offers private VTC transfers to or from Paris for long distance and sightseeing trips for the duration or the distance of your choice. You are currently looking for a privatized vehicle as well as the private chauffeur who will take you to your destination in Paris and its surroundings? Look no further, here is your private chauffeur in Paris! Whether you want to travel in the French capital or in your region or even further afield, for example in the province, simply book your trip with a Paris private chauffeur online quickly with our travel simulator available at the top of this page Which gives you immediate and totally free access to your exact price and at no extra charge. Embark on your private transport Chauffeur Privé Paris without waiting from your reservation only 30 min in advance! With affordable transportation, an affordable rate and a private chauffeured vehicle and driver available throughout Paris and available to you at any time of the day or night, you only have to board your journey and your fare valid. Embark on one of our many prestige vehicles , your private driver takes care of the rest. With our private chauffeur service , you will be guaranteed the availability of 300 vehicles throughout the Île-de-France region and continually, you only have to validate your rate online to have a fixed price in advance And no surprises or additional charges. Available 24 hours a day, the reservation is accessible to all and very fast and the payment possibilities are all secured. Our vehicles are equipped with the necessary to make you enjoy a comfortable transport but also pleasant and high quality. 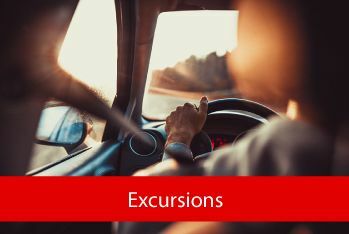 Our transport vehicles as well as the private drivers of our team who are entirely at your disposal are waiting for you to make use of their experience of the road. Guarantee a reservation of your private chauffeur in Paris fast and 100% online via our simulator and the secure payment platforms available 24 / 24h. 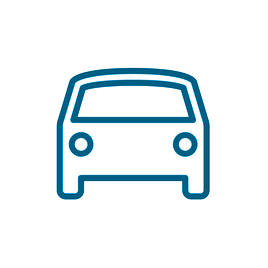 No need to settle the Private Chauffeur in Paris once on board and on arrival, you can now do it online to save a considerable amount of time for each of your transport. Once the payment is made, your reservation is confirmed and you immediately receive a confirmation SMS on the number you indicated when creating your online account. Your private chauffeur in Paris then takes care of everything. It will meet you at the address specified during your reservation. You only have to get on board and enjoy a nice vehicle. - By pressing the reservation button above on this page, you will have the possibility to get to know your Private Chauffeur Prize Paris rate immediately and free of charge. - Chauffeurs Privés de Paris are experienced chauffeurs, they know the streets of Paris as their pocket and can take you to the stations and airports of your choice quickly in A few clicks. You do not have to go through our online simulator to make your reservation: our call center answers all your questions and takes care of your reservations. We do not do things by halves: the services of private chauffeurs in Paris confirm your pick-up immediately on-line with online transport by SMS at the number indicated. You will receive a confirmation and a summary of your private driver's reservation online in Paris by SMS as well as an invoice in PDF format sent to you by e-mail to the e-mail address indicated when creating Your account, so it is very important to tell us a correct phone number and email address when you first visit our website. If you are not familiar with this type of service - consult our operator via the telephone number at the top of the page. All your payments for each private chauffeur booking in Paris is secured by payment platforms such as Paypal or Payplug, known and recognized platforms for their reliability. The reservation website Chauffeur Privé Paris as well as the payment platforms such as Paypal and Payplug used for the payment of the reservations offer you a quick settlement and assure you optimal and maximum security. Our site is under the secure "https" standard and the payment pages are encrypted in SSL, which ensures you an encrypted transfer when paying online but not only. All your data exchanges between the website and your computer are encrypted in order to guarantee you anonymous and secure access during each of your visits and simulations. . The information comes in the form of a security package and the transaction only contacts you and your bank or the secure system (Paypal, Payplug, ...) that you have selected. The transport of private chauffeurs that we propose to you in Paris are specialized and know very well Parisian airports such as Roissy Charles de Gaulle and Orly, Le Bourget and more with more than ten different Terminals, but they also know all roads and ways To get you there as quickly as possible and to avoid any delay no matter what time it is. You wish to be recovered at the airport of Roissy Charles de Gaulle or Orly? Give us your flight number so that we can be present when you arrive at the airport of your choice as well as to be informed in case of delay of your flight to avoid the additional costs in case of unexpected waiting of Your private chauffeur from Paris . De jour comme de nuit, avec votre numéro de vol ou de train, votre temps d'attente est offert et votre chauffeur est prévenu en cas de retard involontaire. * The rates, schedules and travel times are provided as a guide and do not engage the responsibility of Aéroports de Paris. Whether you want to be picked up at Roissy or Olry airport, your waiting time is offered to you and your Paris private chauffeur in charge of your race can follow your arrival in real time with the train or flight number Which you will have communicated to us. An alternative to the Parisian Private Driver for Roissy or Orly Airport at a fraction of the cost: Roissy CDG Charles de Gaulle / Orly airport shuttle with private chauffeurs from Paris, our 24/7 services offering the following advantages: Reservation In advance fast online without creating an account, fixed price, free luggage (up to a limit of 2 per passenger). Details on this service: See below. How to book Your private driver from Paris today? All you have to do is indicate your wish to be picked up or brought to an airport at the time of your reservation by choosing it from the list of available places. You will then be offered the option to enter your transport or flight number. Validate your transport and that's it! Last but not least, you have to be assured of the highest quality transport at an affordable price. Your private transport with private chauffeurs in Paris is guaranteed for all, your driver waits for you at the exit of your terminal with a sign indicating your name. Air France bus: Service operated to Paris center and Orly (Price of the single ticket 15 and 19 euros). Your transport is insured in Paris and its region but also at the airports of the region by day and night. Your Private Chauffeur Paris waiting for you with a sign in your name, so you do not wait, do not miss your transport! You can not miss your specialist driver thanks to the waiting boards of Chauffeur Privé Paris, which ensure you a quick climb aboard our luxurious transport vehicles. Department 95, Yvelines - department 78, Seine-et-Marne - department 77). Please note that private driver in paris in the suburbs are only accepted if you have pre-booked the race with a Private Driver in Paris company. Only the roissy Private Driver in Paris located at the stations at the arrivals mentioned above are allowed to take care of customers. These official Private Driver in Paris are recognizable by the "luminous" located on the roof of the vehicle. If you are approached out of the luggage delivery room by people claiming to bePrivate Driver in Paris , we invite you to decline any transportation proposal. Before you leave, check out the different roissy shuttle buses available free of charge to move from one terminal to another in public areas. An opinion or a question?